The favourite dish of our #farmersinfluencers is Pa amb tomàquet, or “tomato bread”. This authentic Catalan dish is as tasty as it is simple to prepare. It is mainly served as a garnish or with cold meats and cheeses to make up a simple but complete meal. Lightly toast the bread slices on the barbecue or in the toaster. Slice the tomato in two and rub the cut part of the tomato on 1 slice of bread, until all that is left is the tomato skin. Discard the skin. Drizzle a bit of olive oil over it and season with a pinch of salt. Place in a bread basket and serve. A tip! It is customary to place all the ingredients on the table so that the diners can make their own Pa amb tomàquet. 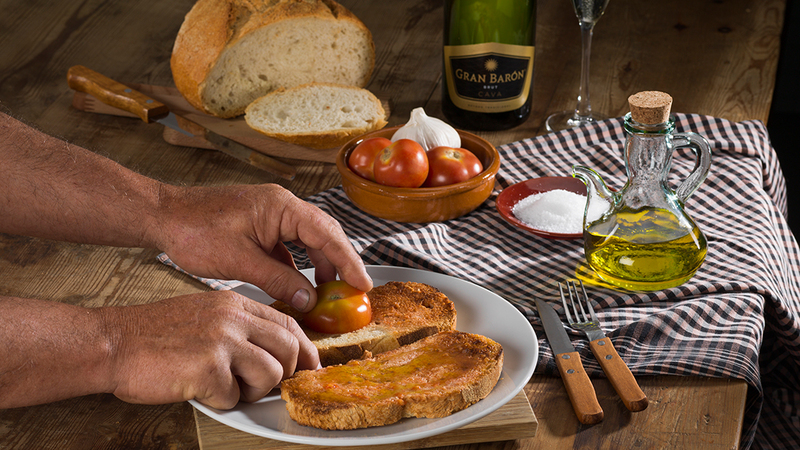 Delicious and fantastic in equal parts!Gran Barón BRUT is ideal for this simple dish.